Nifty for a change opened flat and stayed in a narrow range but a saw a dip towards 5980 level which was promptly bought by the responsive buyers. The index swung around the previous day’s close level but some last minutes buying say it close near the highs at 6020.95, a small gain of 13.50 points. The broader market was strong, with 765 advances to 547 declines. 6100CE though still holds the highest OI on CE side, but looking vulnerable. Call option 6300-6500 added 10.88 lacs huge amount of OI with small short covering seen at 6000 and below strike prices. Put option 6100-5500 added 13.00 lacs huge amount of OI with small profit booking seen at 5600 and strike price. 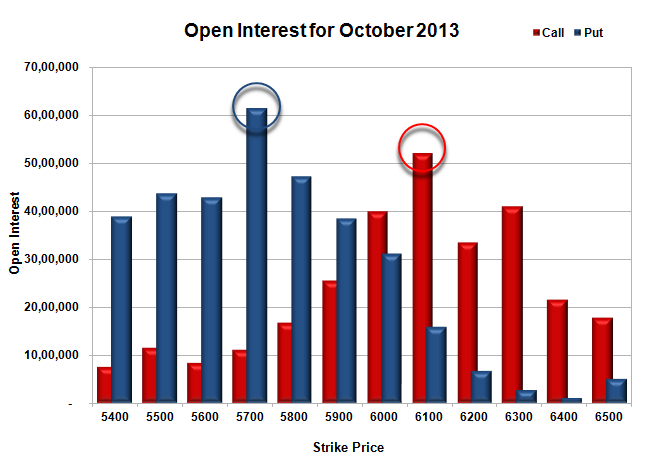 Nifty Open Interest is at 1,68,58,700 up by huge 5,99,400, with increase in price, most probably huge long build-up. 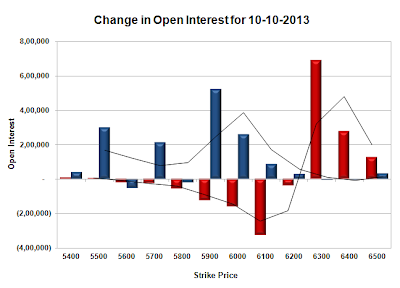 Bank Nifty Open Interest is at 18,35,575 down by 46,150, with decrease in price, most probably some long liquidation. FII’s bought huge 8.19 lacs Futures, mostly long build-up, as their net OI increased by 17861 contracts (includes 80583 longs and 64206 shorts) and the average price per contract comes to around 5923.40. FII’s future open contract as on date is 413695. PCR Open Interest (Volume) has moved up again 1.330. Initial support now at 6000, with huge addition for the second day at 2.58 lacs, below that at 5900, with huge OI of 38.53 lacs. Initial and best resistance still at 6100, with OI of 52.13 lacs, above that at 6200 with OI of 33.52 lacs. 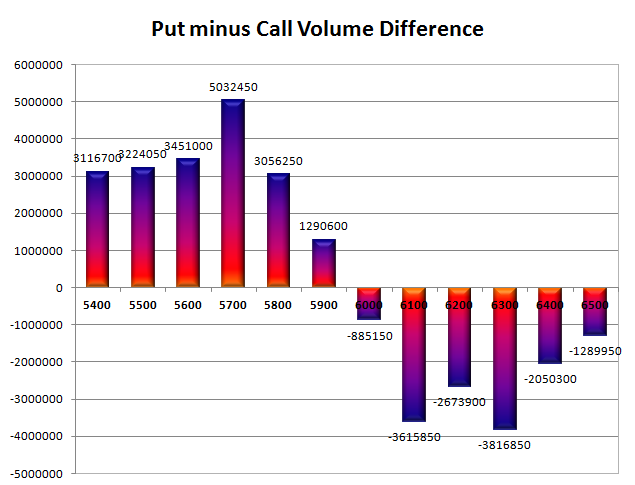 Day Range as per Option Table is 5942 - 6086 and as per VIX is 5939 - 6103 with 6012 as the Pivot.